When you subscribe to a podcast that you like, you will get every episode automatically delivered to you when it comes out. With all the smartphones and tablets out there these days and Wifi or Cellular connections everywhere, there isn’t really a reason not to subscribe. Back in the day there was an iPod… Now we have MANY devices. Every smartphone and some not-so-smart phones support podcast listening. (even blackberry). Most podcasters (at least the ones that listen to me) have a player right on the website. Pocketcasts has a web Podcast player that will let you subscribe and it syncs with all your devices so if you listen on your iphone and pause the show. Then pick it back up on your computer in the web browser right where you left off. Listeners, this one is for you! 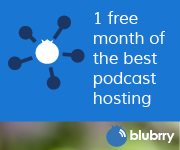 Blubrry has a great directory to find and subscribe to podcasts. Using “MyCast”. You can also “watch” podcasts (both audio and video) on the Blubrry Roku App, Boxee app, Google TV (or whatever they call it these days) and some Samsung Smart TV’s. When you are just starting out in podcasting, it’s easy to get over enthusiastic about podcasting and do what my friend Dave has called “Casterbating”. 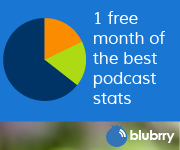 There is also a good chance that you will want to start 5 podcasts. Resist that urge! Do one podcast. Don’t go too many times a week. 1 time a week is harder than you think. Put all your eggs in that one basket for the time being and get good at it. Work all the bugs out before going on to a second, third or 15th show. You can get caught up in the excitement of a new thing (podcasting) and either over-think things (casterbating) or scatter-brain everything by trying to do too much too quickly. All the successful podcasts and podcasters I know started with one show (or learned this lesson) and stuck with that one until they got all the bugs worked out. Those people tend to stick with it for a while. The ones that scatter-brain it, tend to burn out and go away, or Pod Fade some or all of their shows.